Stages of Business Continuity Management in line with the ISO / British Standard. How to identify, prioritise, evaluate and mitigate risks to your organization. What strategies can be implemented? What facilities are needed to continue business through a crisis? How the BC plan is an important document in the process. Recommended for: Business Continuity representatives, managers and those that want to find out more about the Business Continuity process. AIM: To enhance participants’ ability to develop a Business Continuity strategy. Booking: Any external delegate (Outside of Norfolk County Council/Norfolk Fire & Rescue Service) please contact normit@norfolk.gov.uk to enquire about booking and fees. Note: This training is provided by Resilience and Business Continuity staff from Norfolk County Council’s Resilience team (Normit). 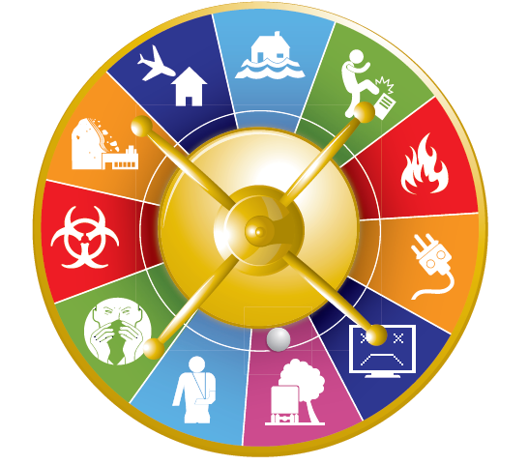 NCC’s Resilience Team can offer tailored Emergency Management and Business Continuity Training for your organisation’s particular needs. Training can be designed to reflect your concerns and help delegates understand the management structures and procedures implemented in the event of an emergency. "Excellent – both in terms of awareness raising and developing skills, knowledge and understanding. "